Overall, things are going exceptionally well for Boeing in their construction efforts for the CST-100 Starliner crew transportation vehicle. 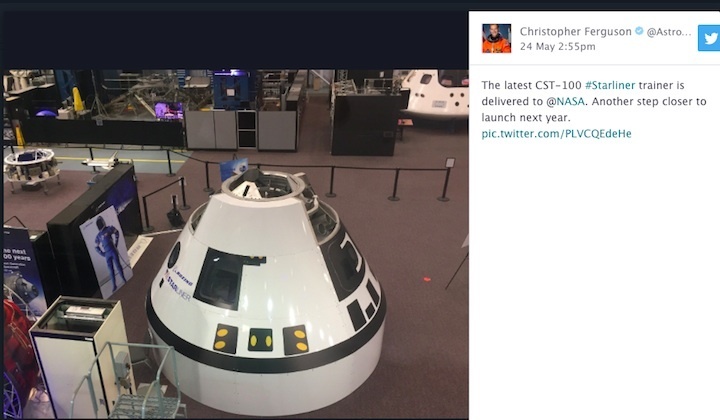 With primary build operations taking place inside the Commercial Crew and Cargo Processing Facility (C3PF)(formerly known as Orbiter Processing Facility bay 3), the latest information points toward Boeing being on track to meet the uncrewed and crewed demo launch timelines in 2018. However, comments made by Chris Ferguson last month at the Paris Air Show seem to indicate that the crewed flight test is moving from its August timeframe. 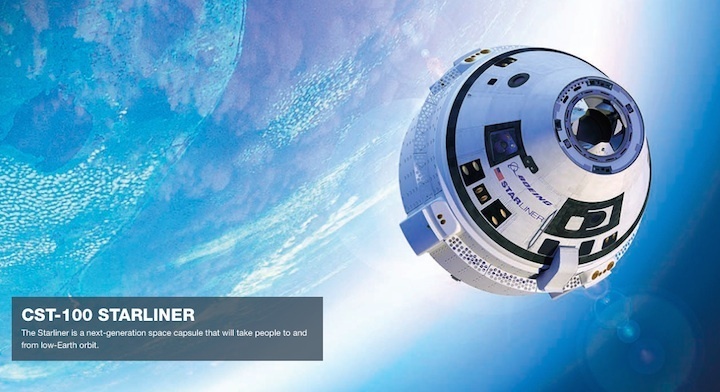 According to Mr. Ferguson, Director of Crew and Mission Operations for Boeing’s Commercial Crew Program, the first Starliner crewed test flight is aiming for “last quarter of 2018” – which would be a shift of two to five months into the October to December 2018 timeframe. Based on Mr. Ferguson’s statements, this move appears to be based on “expressed timelines” from NASA. To that end, Boeing engineers are hard at work to meet the various milestones needed ahead of the OFT mission. Currently, the company’s technicians and engineers are running leak checks on the propulsion system for the Service Module Hot Fire Test article (SMHFT) inside the C3PF at the multi-user Kennedy Space Center. The SMHFT is integral to Boeing’s milestones toward the first uncrewed flight, with the SMHFT scheduled to ship to NASA’s White Sands test facility in New Mexico later this year for hot fire testing. During flight operations, Starliner’s Service Module propulsion system provides launch abort capability on the pad and during ascent along with propulsion needs during orbital operations, including launch vehicle separation, docking to and undocking from the ISS, and separation of the crew and service modules after deorbit but before reentry. As such, full up testing of the Service Module – accomplished through the SMHFT – is critical before flight operations begin. Also occurring in the C3PF is the construction of the first Starliner capsule that will fly the OFT mission in June of next year. 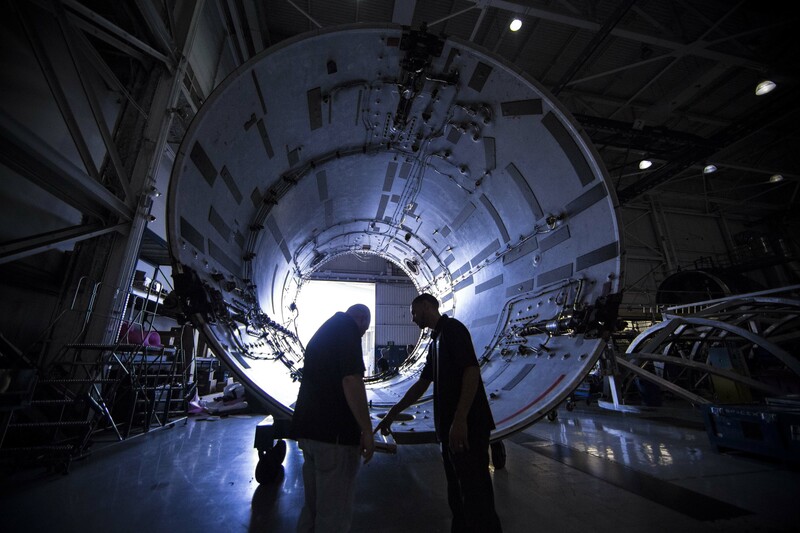 Engineers and technicians have already completed construction of the Structural Test Article (STA) for Starliner – which is currently in California undergoing testing. Construction of the STA provided valuable insights to the team ahead of build operations for the three operational Starliners. While the first complete Starliner will not carry crew – as the OFT mission is an uncrewed test flight – the capsule will be retrofitted after the OFT to carry crew on subsequent missions. 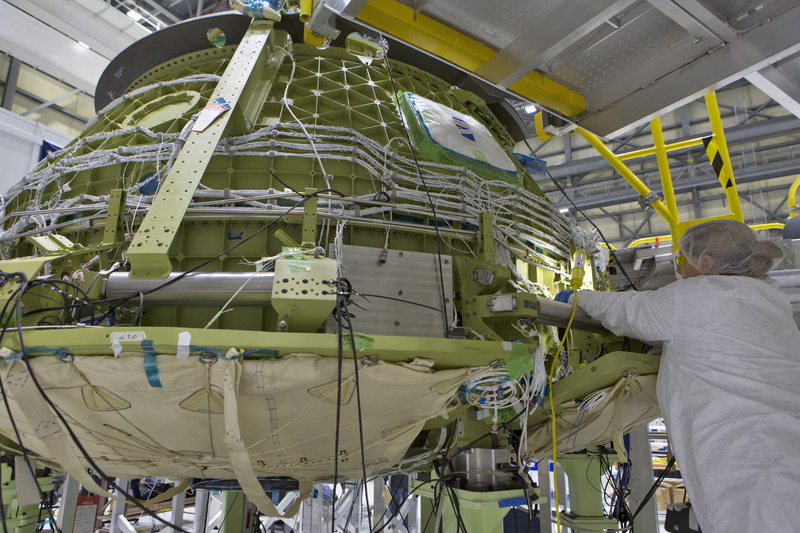 With the first Starliner flight now less than a year away, engineers have completed all pre-mate electrical checks between the Upper and Lower Domes of the first Starliner. 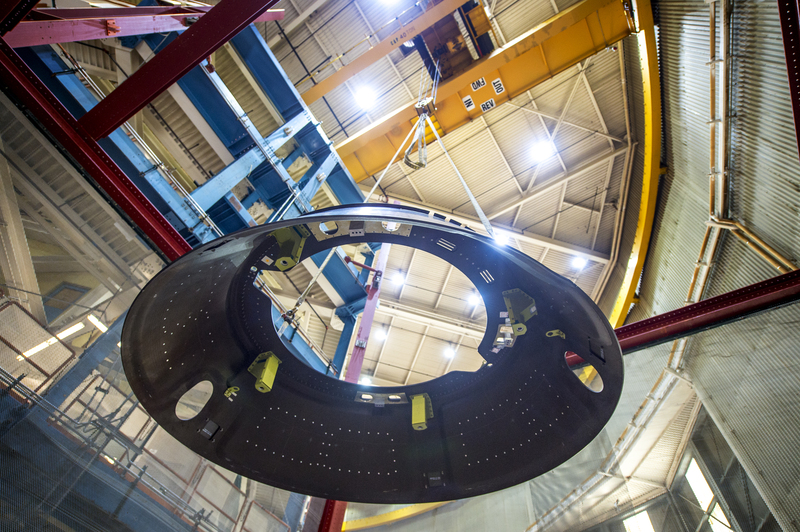 Mating of the Upper and Lower Domes is currently scheduled for 14 August 2017 and will mark the completion of a major milestone in the first Starliner’s construction. Meanwhile, as construction efforts for Starliner continue on pace for a June launch of the OFT, United Launch Alliance (ULA) has made the decision to swap the Atlas V first stage booster that will power the first Starliner to orbit. Originally, the OFT mission had been slated to launch on AV-082, Atlas Vehicle 82. According to the latest information, that has now changed on ULA’s end, with the company opting to swap AV-082 for AV-080. 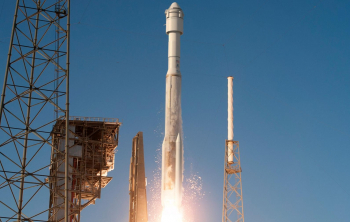 While the reason for the first stage Atlas V swap is unknown, the change to the first stage is expected to have little effect on flight operations or NASA’s clearance to launch the OFT mission to the ISS next year. 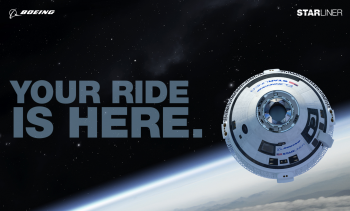 Physical construction milestones and launch vehicle selection aren’t the only milestones being worked by Boeing in regard to Starliner. 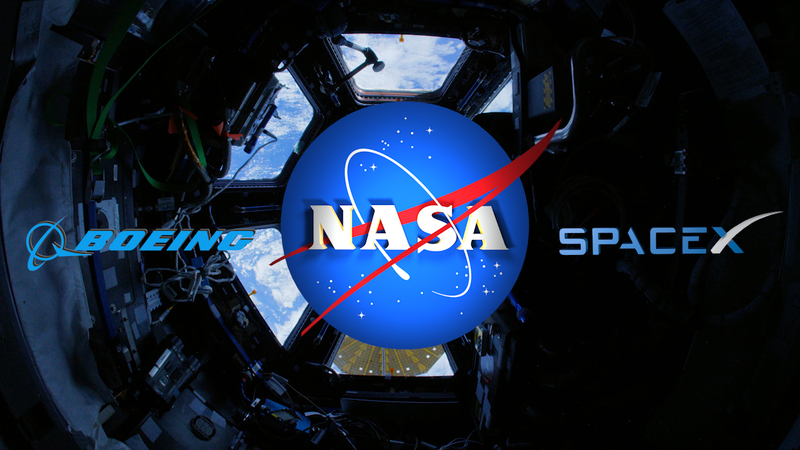 This month, NASA met with Boeing and their software development team regarding the NASA Docking System (NDS) on the ISS and potential requirement changes in software design. The NDS is the new generation docking structures, systems, and software that replaces those used by the Space Shuttles during construction and outfitting missions for the International Space Station between 1998 and 2011. With the retirement of the Shuttles and NASA’s desire to extend the Station’s structural lifetime through low energy impact dockings, the agency has undertaken the task of changing the capture mechanisms at the end of the Pressurized Mating Adapters on the US segment of the Station. 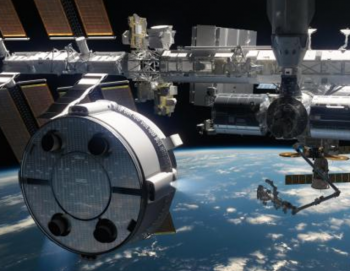 The first major hardware steps toward this change occurred last year when SpaceX resupply mission CRS-9 delivered the first new International Docking Adapter (IDA) to the station. The IDA delivered by CRS-9 was actually IDA-2 as IDA-1 was lost on the CRS-7 launch mishap in June 2015. As the first use of the new IDA capture mechanisms approaches, NASA has been refining the software requirements they wish Boeing – and the other commercial crew launch provider, SpaceX – to use when their vehicles dock to the ISS next year. The recent meeting with Boeing was largely to discuss potential changes NASA wishes Boeing to employ in its docking software and any potential impacts these software changes might hold to the OFT or crewed demonstration missions next year. Moreover, the meeting discussed the potential of accelerating the planned NDS software changes so that any potential impacts on Boeing side could be mitigated. According to the latest information obtained by NASASpaceflight.com, this meeting went well, with an understanding that the current requirement changes will not impact Boeing’s software development schedule for OFT or the crewed demonstration missions. 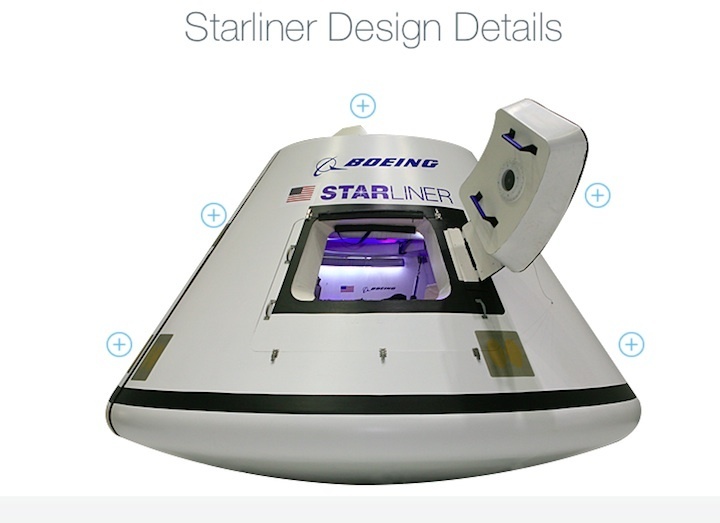 While not directly related to the NDS, a better understanding of Boeing’s docking hopes for Starliner became clearer last month during Mr. Ferguson’s question and answer session at the Paris Air Show. Here, Mr. Ferguson noted his desire for Starliner to perform the rapid sequence 6 hour launch to docking profile currently employed by Soyuz crew vehicles and Progress uncrewed resupply vehicles from Russia. Launch vehicle production is currently on track for an uncrewed August 2018 Orbital Flight Test (OFT). The OFT booster for the uncrewed flight is in final assembly at the factory in Decatur, Ala., and the OFT Centaur upper stage has completed pressure testing. Other hardware such as the launch vehicle adapter and aeroskirt production are on schedule to support test articles and flight. NASA and industry partners, Boeing and SpaceX, are targeting the return of human spaceflight from Florida’s Space Coast in 2018. Both companies are scheduled to begin flight tests to prove the space systems meet NASA’s requirements for certification in the coming year. Since NASA awarded contracts to Boeing and SpaceX, the companies have matured space system designs and now have substantial spacecraft and launch vehicle hardware in development and testing in preparation for the test flights. The goal of the Commercial Crew Program is safe, reliable and cost-effective transportation to and from the International Space Station from the United States through a public-private approach. NASA, Boeing and SpaceX have significant testing underway, which will ultimately lead to test missions when the systems are ready and meet safety requirements. Boeing’s Starliner will launch on a United Launch Alliance Atlas V rocket from Space Launch Complex 41 and SpaceX’s Crew Dragon will launch on the company’s Falcon 9 rocket from Launch Complex 39A. After completion of each company’s uncrewed and crewed flight tests, NASA will review the flight data to verify the systems meet the requirements for certification. Upon NASA certification, the companies are each slated to fly six crew missions to the International Space Station beginning in 2019 and continuing through 2024. Spacecraft: In 2018, Boeing will continue with the production and outfitting of three crew modules and multiple service modules inside the Commercial Crew and Cargo Processing Facility at NASA’s Kennedy Space Center in Florida. 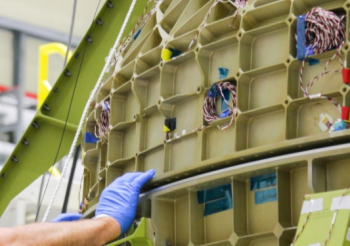 Boeing already has a structural version of its spacecraft going through loads, shock and separation test events in Huntington Beach, California. It will conduct a series of service module hot-fire tests in White Sands, New Mexico, as well as environmental testing to include thermal, vacuum and electromagnetic frequency in El Segundo, California. 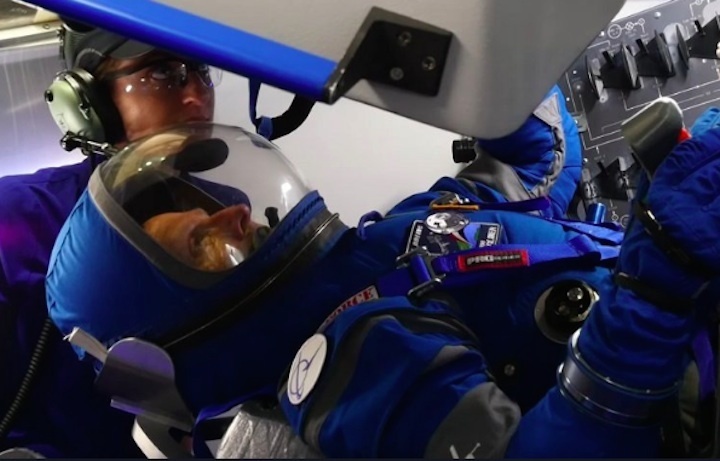 Spacesuit: Boeing’s spacesuit will continue to undergo integrated system verification tests. 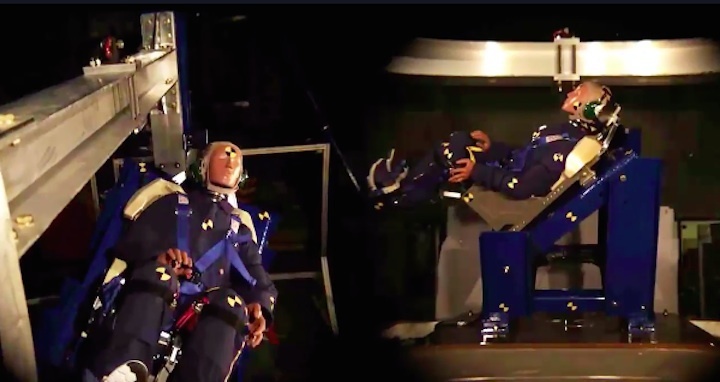 These include environmental control and life support system testing, immersing the suit in water, egress demos with the aid of virtual reality, suited launch and landing cabin operations, prelaunch emergency exit with ground crews, ascent simulations with mission operations teams and post-landing egress. Engine Testing: Boeing and Aerojet Rocketdyne will finish qualification testing of the launch abort engines and thrusters that will power the Starliner through the pad abort, uncrewed and crew flight tests. Each of the four launch abort engines and 48 thrusters is tested at the White Sands Test Facility in New Mexico prior to installation on the service module. 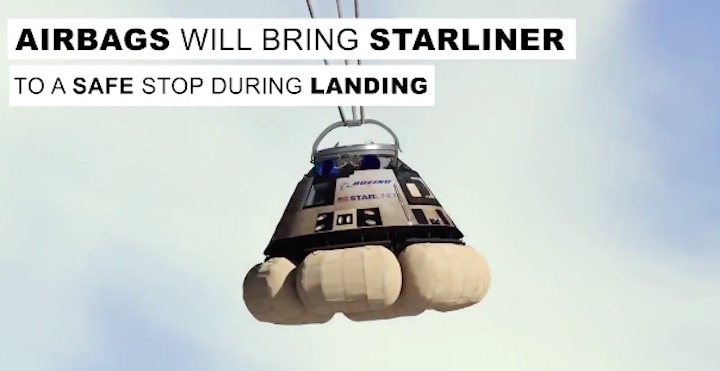 Parachute Testing: Boeing will continue with the Starliner’s parachute test program in 2018. To date, Boeing has completed two of five planned qualification tests. 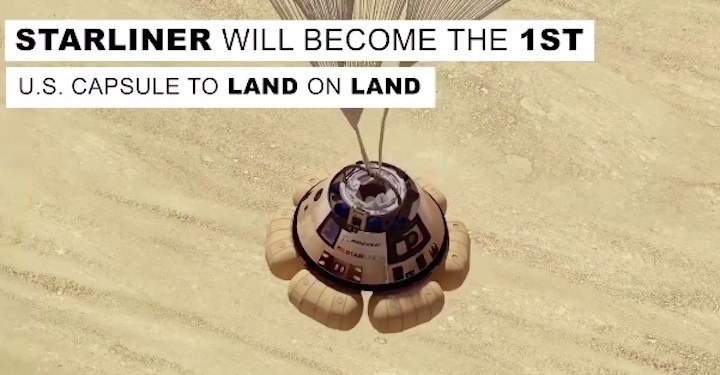 The testing involves a giant helium-filled balloon that lifts a full-size version of the spacecraft over the desert in New Mexico before releasing it. The spacecraft climbs more than 1,000 feet per minute before it is dropped from an altitude of about 40,000 feet. A choreographed parachute deployment sequence initiates, involving two drogue, three pilot and three main chutes that slow the spacecraft enough for a safe touchdown on land. Additional parachute testing with a long-dart shaped vehicle released from a C-17 aircraft near Yuma, Arizona, is also scheduled to begin next year. Space Launch Complex 41: During 2018, Boeing and United Launch Alliance will make final preparations to the launch pad to ready the Atlas V complex for human spaceflight operations. Modifications are nearly complete, including the installation and testing of a crew access tower, swing arm, clean room, personnel escape system and water deluge system. Pad Abort Test: In 2018, Boeing will complete an uncrewed pad abort test at White Sands Missile Range in New Mexico to demonstrate the ability of the Starliner to safely accomplish an emergency escape of the capsule and its crew members from a rocket. During the test, four launch abort engines and 20 orbital maneuvering engines will fire to simulate an abort from the Atlas V rocket on the launch pad. Together, the engines produce about 188,000 pounds of thrust for about six seconds to push the spacecraft to one mile in altitude to clear the launch vehicle in an emergency. 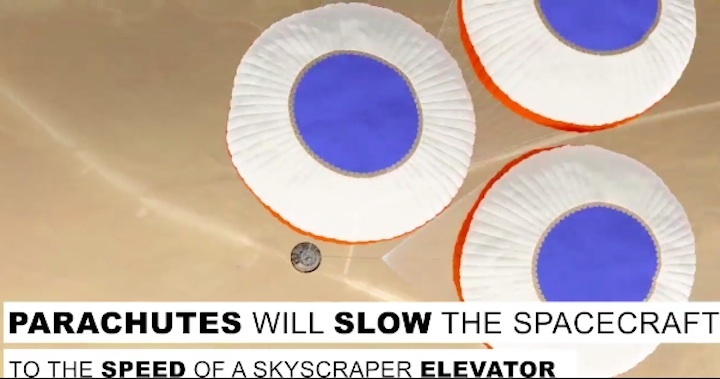 At the proper time in the abort sequence, the service module will separate from the crew module so that it can parachute down to a safe landing. Orbital Flight Test: Following launch from Space Launch Complex 41, the uncrewed Starliner will dock to the International Space Station. 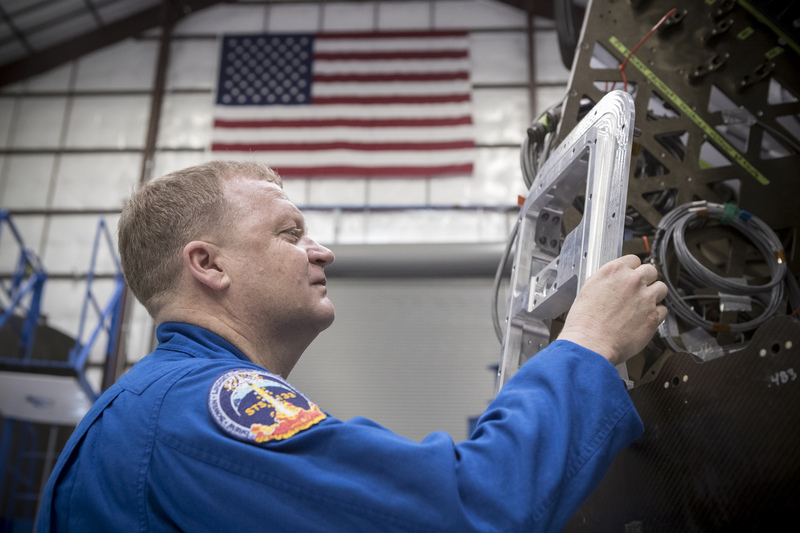 After about two weeks connected to the station during which the teams will gather extensive performance data, the spacecraft will return to Earth under parachutes to land in the Western United States. The test will demonstrate the launch vehicle, Starliner, the ground system and the Boeing team are ready to perform a crew flight test. 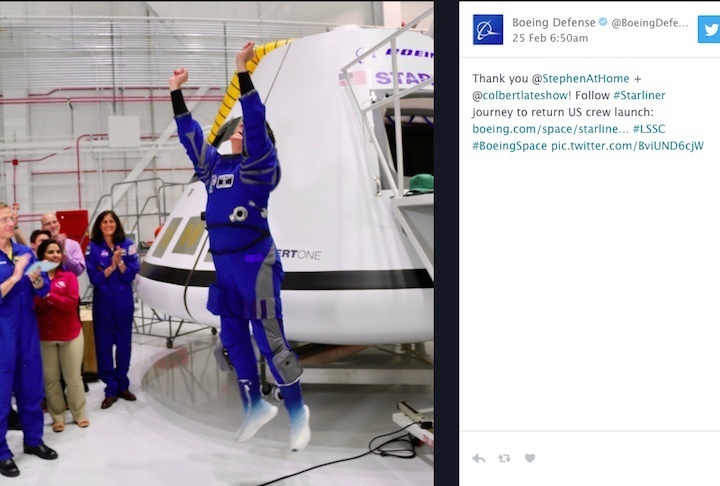 Crew Flight Test: Two crew members will be aboard the Starliner for Boeing’s first commercial spaceflight to the International Space Station. The spacecraft will launch atop a United Launch Alliance Atlas V rocket from Space Launch Complex 41 and land again in the western United States. 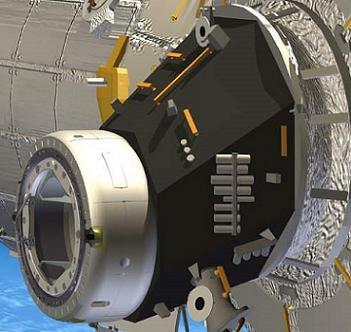 The mission will represent a major milestone in the return of human spaceflight from the United States. 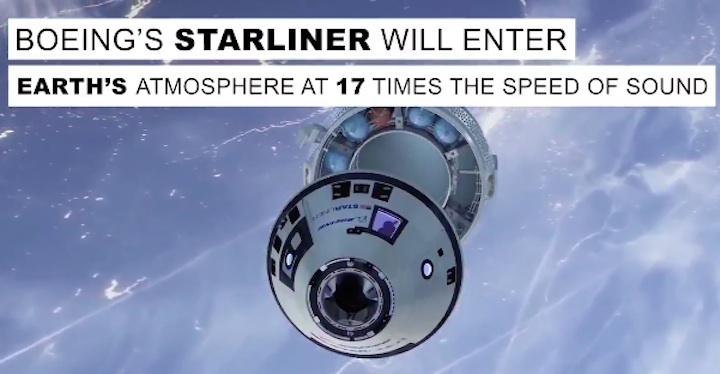 After the test and NASA certification, Boeing’s Starliner can begin regularly flying astronauts to and from the space station on NASA missions. Recovery Training: Boeing, NASA, and the Department of Defense will conduct rehearsals of crew recovery training during the coming year. The final full scale rehearsal tests will simulate astronaut returns to Earth in the Western region of the United States. Boeing’s Starliner is designed to land on land, but testing is also being conducted to prepare for water landings in case of an emergency. 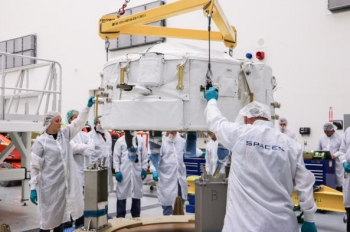 Spacecraft: SpaceX is making significant progress on the six Crew Dragon spacecraft that the company currently has in various stages of production and testing. SpaceX’s structural qualification module has undergone extensive testing, which is scheduled to be complete in the first half of 2018. The company will continue ongoing hardware and software testing on its Environment Control and Life Support System, or ECLSS, module, through early 2018. The crew module that will be used to support SpaceX’s upcoming Demonstration Mission 1 has had its critical onboard avionics powered up and has completed integration of the module’s pressure section and service section’s structural components with preparations ongoing for its flight in 2018. Progress continues on SpaceX’s spacecraft for Demonstration Mission 2 and both of the company’s initial crew rotation missions. Spacesuit: SpaceX will continue ongoing qualification and validation testing on its advanced spacesuits next year, including NASA’s four CCP flight test astronauts for a variety of the assessments, including suit-fit, reach and visibility assessments, and pressure tests. The company is in the process of manufacturing custom suits for each of the four astronauts, which will ensure a proper fit and comfortable ride to and from the International Space Station in the Crew Dragon spacecraft. Merlin/SuperDraco Testing: 2018 will see continued, rigorous qualification testing of SpaceX’s Block 5 M1D and MVacD engines at the company’s engine development and testing facility in McGregor, Texas. These advanced engines are manufactured by SpaceX at their headquarters in Hawthorne, California, and will power Falcon 9’s first and second stages respectively as they lift the Crew Dragon spacecraft into orbit to rendezvous with the International Space Station. SpaceX also will complete major integrated system testing of its Draco and 3-D-printed SuperDraco thrusters on the company’s SuperModule test stand in 2018. Demo-1 Flight Test: SpaceX is targeting the second quarter of 2018 for its first demonstration mission with Crew Dragon to and from the International Space Station. This uncrewed mission will launch from Pad 39A, serving as an important rehearsal for later missions carrying NASA astronauts. Using Crew Dragon’s advanced autonomous rendezvous and docking capabilities, SpaceX will complete a full mission profile to test the crewed Block 5 Falcon 9, the Dragon Spacecraft, and associated ground systems including Mission Control in Hawthorne. In-Flight Abort Test: SpaceX is slated to complete an important in-flight abort test using both Falcon 9 and Crew Dragon in the time between the company’s two demonstration flights in 2018. Using Crew Dragon’s powerful onboard SuperDraco thrusters, built at the company’s headquarters in California and tested in Texas, SpaceX will demonstrate its capability to swiftly carry astronauts to safety in the unlikely event of an in-flight anomaly. The test will be conducted from Launch Complex 39A at the Kennedy Space Center. Demo-2 Flight Test: SpaceX is progressing towards its first crewed mission under the Commercial Crew Program – Demo-2 – in the third quarter of 2018. This mission will see two NASA astronauts flying to and from the International Space Station in SpaceX’s Crew Dragon spacecraft from Launch Complex 39A at NASA’s Kennedy Space Center in Florida. This mission will represent a major milestone in the return of crewed flights to the space station from American soil. This second demonstration mission will serve as a precursor to fully operational crew rotation missions under NASA’s Commercial Crew Program. Launch Complex 39A: Over the course of 2017, SpaceX reactivated Launch Complex 39A at NASA’s Kennedy Space Center, successfully launching a dozen missions from the historic pad. In 2018, SpaceX will continue upgrading LC-39A to support upcoming commercial crew missions, including the installation of their Crew Access Arm and white room on LC-39A’s fixed service structure in the spring. 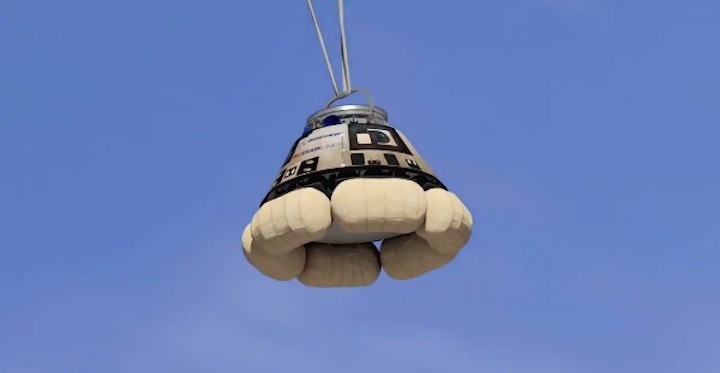 Parachutes: SpaceX completed the first round of qualification testing for Crew Dragon’s parachute system in 2017. The second round of parachute system validation testing will be completed by mid-2018. 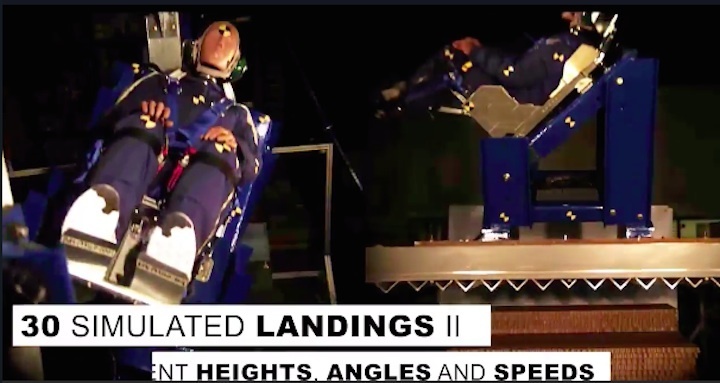 Recovery Trainer Testing: In preparation for the unlikely event of an unusual recovery situation, SpaceX has been working closely with NASA and the Department of Defense to practice to ensure safety throughout various contingency crew recovery scenarios. The company will complete an additional round of in-water rescue trainer exercises off the coast of Florida in 2018. 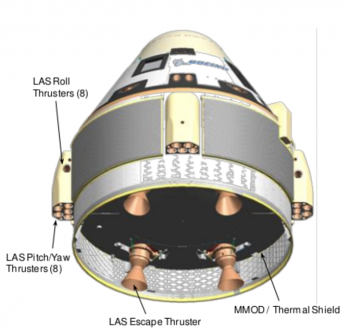 A look back at recent progress in NASA’s Commercial Crew Program. The agency is moving closer to achieving that goal of launching astronauts from American soil.